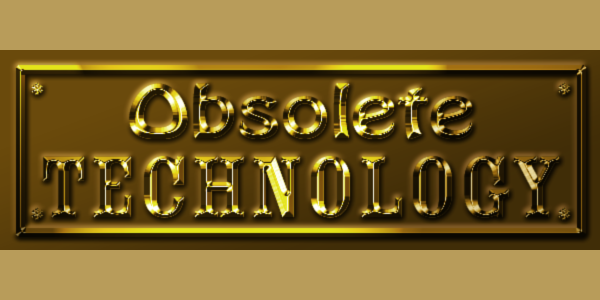 This week we’re taking a look at obsolete communications technologies. No matter what it is, everything was high tech at one time. There was a time not that long ago when Morse code was all around us. Boy Scouts learned it, pilots and sailors were required to use it, and of course everyone still knows the familiar term SOS which does not stand for “save our ships” but actually derives from the dot-dot-dot,dash-dash-dash,dot-dot-dot of its Morse code designation. Morse code, of course, refers to Samuel Morse, who invented the electric telegraph. His code was very simple, and was quickly expanded upon by Alfred Vail and others to the code we know today. Here’s how it works. 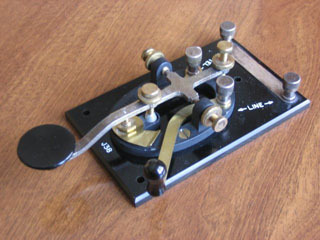 A telegraph key is a simple switch. Press it, and it triggers something at the other end. In the earliest days this was either a pin mark on paper or an audible “clack.” Either way, all communication was reduced to long clacks,short clacks, and the time in between them. Most people know about Morse code but do not know that it was designed to be fast — the most commonly used letters have the shortest codes, with “E,” the most common letter in English, being a single dot. Morse Code is versatile and can be transmitted over almost any electric medium. It can be created with blinking lights — Los Angeles’ famous Capitol Records building flashes “Hollywood” in Morse Code from its top light — sounds, radio waves, pretty much any form of electricity or energy can be used. In its heyday between roughly 1850 and 1920, Morse code was the wonder of the day. Telegraphs were everywhere and they were used far more frequently than telephones for important business. It was like e-mail: a letter could be sent across the world in mere minutes and compared to 2-3 weeks for the postal service. Skilled operators were well-paid and could send messages very quickly. Of course, in the US the Western Union company operated the largest telegraph network and for a small fee you could not only send a message (be brief — you were paying by the word) but that message would be hand delivered to your recipient. It was utterly amazing for the time. learning Morse code was required for everyone with a broadcast license, from ham radio operators to Casey Kasem, until 2006 when the FCC finally dropped the requirement. However, it is still taught to soldiers and sailors with no plans to stop. Morse code forms the basis for all digital communication today, at least in spirit, and so in that sense it will always be with us.